What are the latest innovations in the field of supply chain management? And how can these innovations be applied in practice? Find the answers to these – and other – questions at the second edition of the inNOWvate Supply Chain Event. A large number of professionals have already confirmed that they will be attending the event at the Rijtuigenloods venue in the Dutch city of Amersfoort on 22 May 2019 to gain inspiration and exchange knowledge. The Swiss start-up Luckabox was chosen as winner of the first-ever European Supply Chain Start-up Contest on 24 May 2018. 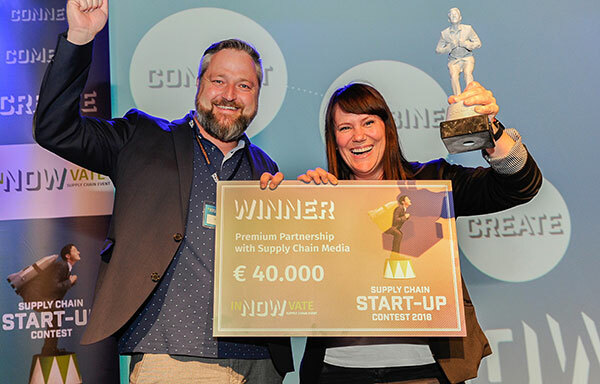 The competition for European start-ups is organized by Supply Chain Media, publisher of the Dutch trade journal Supply Chain Magazine and the quarterly European magazine Supply Chain Movement. Luckabox impressed the jury and the delegates alike with its platform which enables retailers to arrange parcel deliveries to consumers quickly and conveniently. We’ve got a Supply Chain Message from the BME conference in Berlin for you. At the conference we have asked Michael Pleuger from KPMG, Heiko Schwarz from Riskmethods and Andreas Schwarze from Synertrade about the trends they see in their business. Curious to see what they have to say about this? Check out our Message from Berlin. If you don’t want to miss out on any of our video’s, don’t forget to subscribe to our YouTube channel. The video format continues to gain in importance, and time is becoming ever-more precious. The European media company Supply Chain Media has decided to combine these two trends by launching a series of one-minute videos via its own YouTube channel on 23 October. The ‘Supply Chain Minutes’ videos are aimed at educating viewers in a concise and engaging manner.